So, I haven't been exactly keeping up with my sketches on a daily basis, but I will attempt to remedy that. 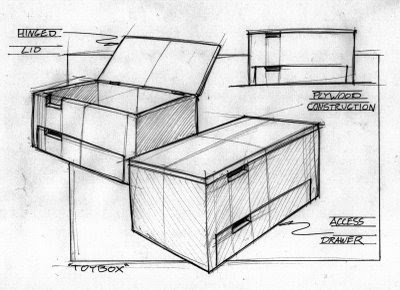 This sketch is a based on a toy box that I designed in school and would be made of plywood instead of plastic. Enjoy! Clean design - I like the overall composition - Great sketch!